The Quebec government is giving the Hippodrome back to the City of Montreal free of charge, but there are some conditions attached. The Quebec government is giving the Hippodrome back to the City of Montreal free of charge, but the deal isn't without conditions. Montreal sold the horseracing track to the province 15 years ago. The city wanted it back to profit from future development. The land, the size of 81 football fields, can accommodate up to 8,000 housing units, according to the city. The province and Montreal will share the revenue from the project. The Hippodrome, formerly called Blue Bonnets, opened for horse racing in 1907 and closed three years ago. 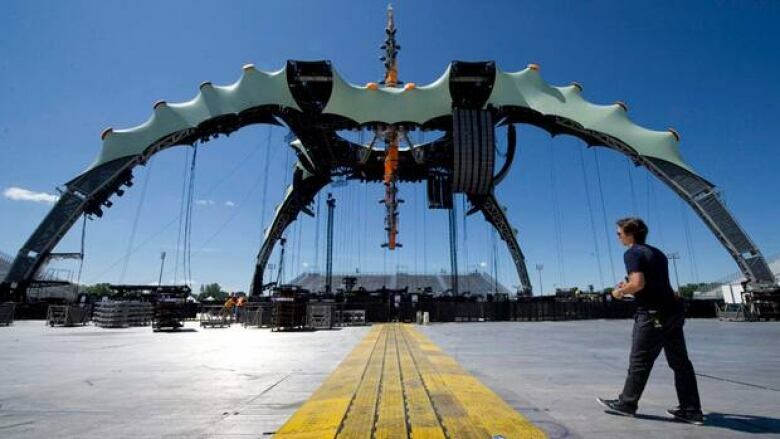 It was the venue selected for the massive U2 concert last summer that drew a crowd of more than 160,000 people.